Converting attachments is often as important as converting the email body. 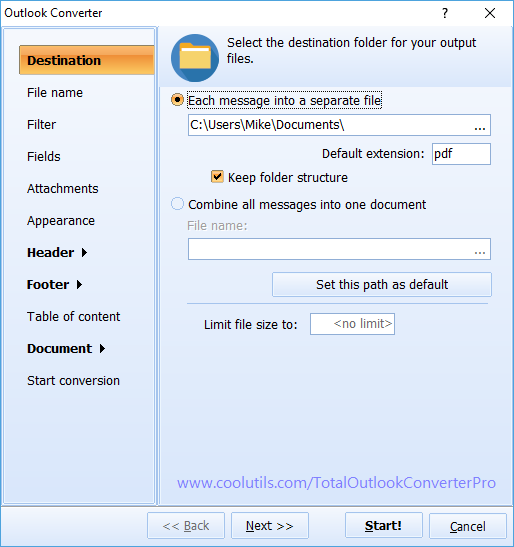 Total Outlook Converter Pro recognizes attachments and allows converting them to the chosen format. It will easily convert Outlook emails with attachments to TIFF format and give you ability to set up all formatting parameters. It is very functional but exceptionally simple! All of the options mentioned above are not obligatory. 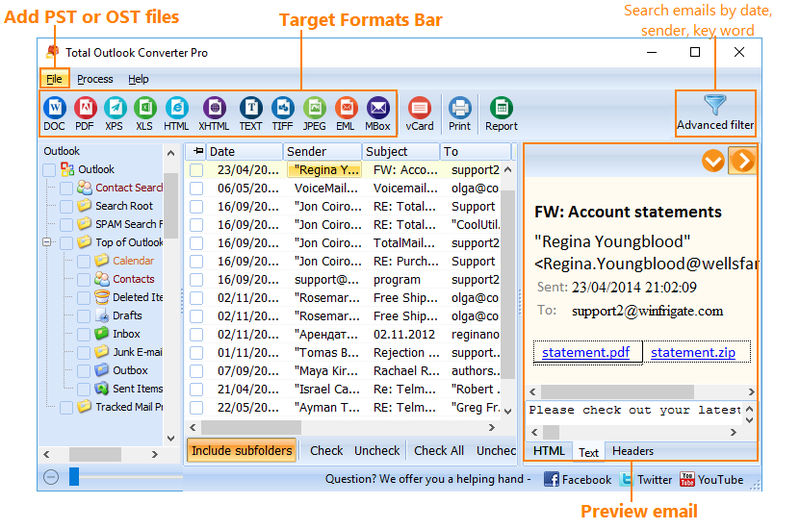 This flexible Outlook converter offers them to help you get TIFF files with formatting and content you exactly need. All format edits are made during conversion process. In standard settings conversion of all email fields and attachments is provided, with empty header and footer. 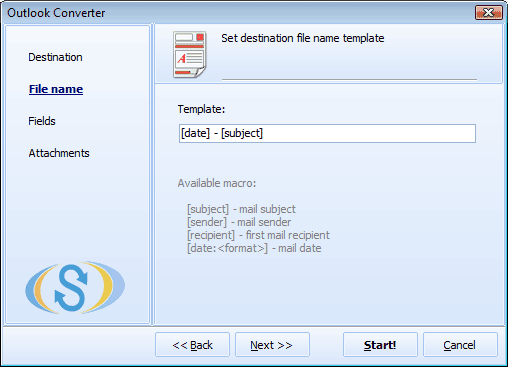 Attached images can be inserted into converted email copies or saved separately. 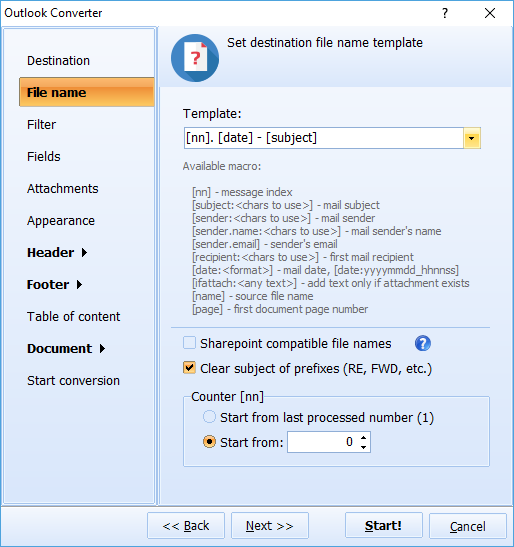 Attached documents or emails can be either converted to TIFF or saved in their native format to a folder. If some programs or archives are attached to source messages, they can be also saved locally. Besides graphic interface the program offers converting Outlook emails with attachments into images from the command line. 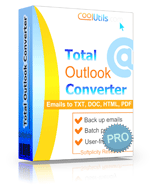 Similar to standard Total Outlook Converter, you can process batches of emails through cmd dialogue window. You can even generate the command automatically in settings wizard for future needs. Download Pro version and run it in a free trial for 30 days!